JF.Flynn Construction is a family run business in 2006 helping owners of both residential and commercial properties achieve the exact premises they need. They provide the professional wherewithal to transform their clients homes and business premises as well as assisting Architects and Engineers deliver a smooth and professional service to their clients by providing an organised, well managed and consistent building experience within the building and fit out sector. 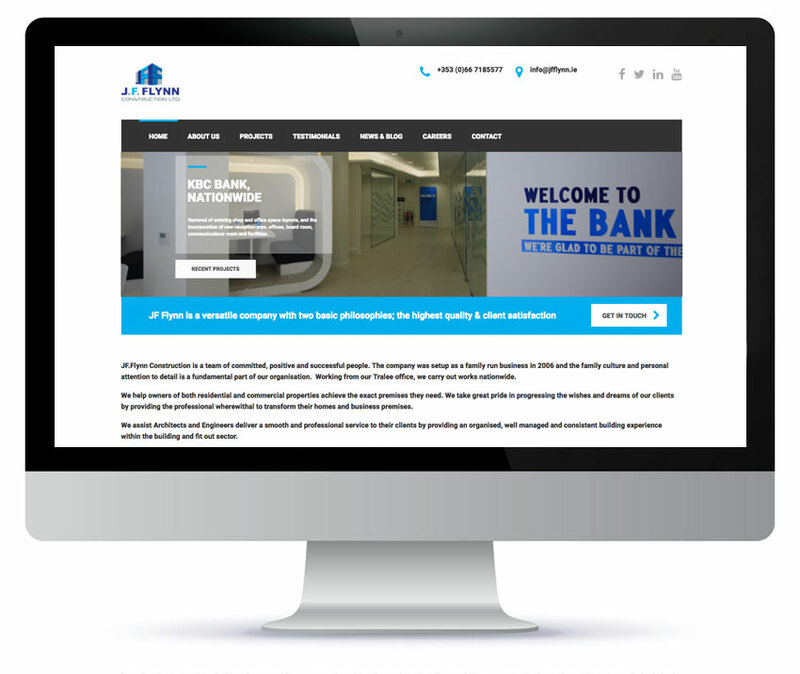 They wanted a modern website which showcased their ethos and range of projects and skills.